The area of Aruba is 180 km2. For Aruba you need a valid passport. The passport must be valid for at least three months upon arrival. You should also have a valid return or onward ticket. At the plane you will receive an immigration card which you must fill out. If you are staying longer than 6 months in Aruba a visa is required. The capital of Aruba is Oranjestad. Aruba has a tropical climate. Throughout the year the temperatures are between 25 and 35 degrees. Aruba is easily accessible for the disabled. The airport and the vast majority of hotels are easily accessible for people in wheelchairs and most devices (such as a wheelchair, crutches, special beds or scooter) you can rent. The sockets at Aruba are different, it is therefore advisable to use an adapter and / or converters. Aruba, One Happy Island, guarantees a perfect sunny holiday in a tropical climate. Besides the sun and the white beaches, there is still much more to see and do at this beautiful island: the swinging music, colored houses, monuments, relaxed atmosphere, nice people, bubbly Oranjestad, beautiful diving in the impressive underwater world and the Arikok national Park are just a few of the large range of activities at Aruba. Go and see it with your own eyes and experience it, you will never regret it! Aruba falls within the Kingdom of the Netherlands with a separate status as an independent country. In November 2013 the Dutch royal couple visited Aruba. On Aruba, you can just drink water from the tap. 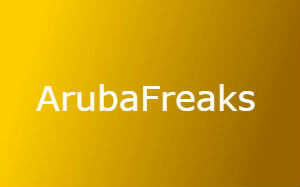 On Aruba is one of the largest factories in the world which makes â€‹â€‹from salt water, fresh water. This plant is also generated electricity for the whole island, hence the name WEB: Water and Energy Company. To visit Aruba you will not need vaccinations. Vaccination against yellow fever is mandatory if you have visited a yellow fever country in the seven days before you visit Aruba The level of health care in Aruba is good and comparable to that in Europe. Almost all medical procedures can be performed. Aruba has a rich history. There are rock carvings made â€‹â€‹by the original inhabitants, the Indians. The traces of the first Europeans who came ashore are still visible, as well as all customs and habits that other people in the course left the centuries. All this has led to Aruba a particularly welcoming and multicultural island, with ditto residents. The Indians of the Caiquetios Arawakstam were the first inhabitants of Aruba. Aruba has around 102.911 inhabitants (2013). Dutch and Papiamento are both official languages â€‹â€‹in Aruba. Also one can go anywhere with English and many Arubans also speak Spanish. Papiamento is the native language of Aruba and is spoken only on Bonaire and Curacao. They have the Aruban florin (AWG) on Aruba. The national day of Aruba falls on March 18 (Day of the Flag and the National Anthem). The flag of Aruba was officially inaugurated on March 18, 1976, along with the official anthem, the "Aruba Dushi Tera '. On January 25, the birth of the Aruban political leader, the late Gilberto Francois (Betico) Croes, is commemorated. He helped the island to obtain its "Status Aparte". In case of emergency or if you'll need the help of police, fire and / or ambulance, you can use the emergency number 911. The country code for Aruba is 00297. The time zone in Aruba is UTC -4 hours. On Aruba, one drives on the right. The maximum speed in urban areas is 40 km / h. Outside built-up areas 60 km / h, unless otherwise stated. On wet roads and rain; moderate your speed and keep a distance from the vehicle in front.